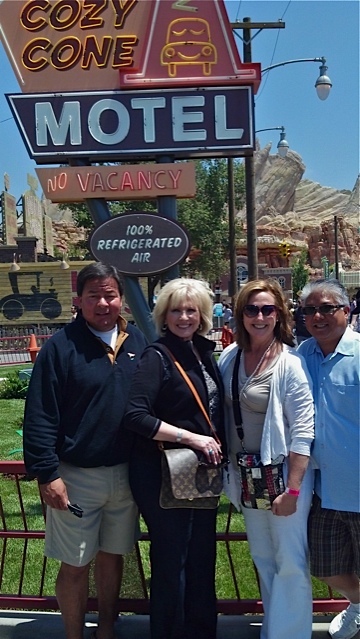 This past weekend, my husband Art and I invited our friends to join us at my place of employment to enjoy a soft opening of the new land called “Cars Land”. We spent almost 9 hours in the beautiful Resort on Saturday, and it was magical. Even after working there for 36 years and my husband has worked there for 17 years, we both had a wonderful time showing our friends around the new “digs”. 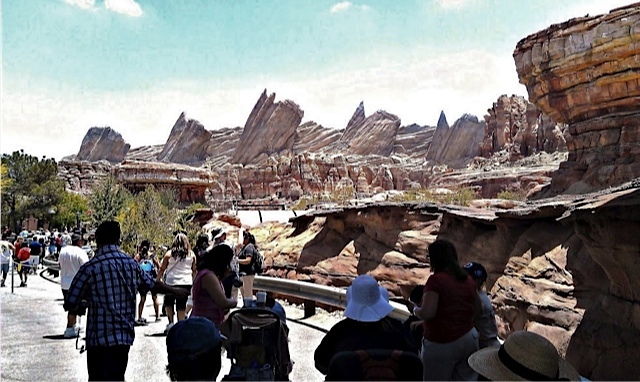 This entry was posted in Life, Memories of Disneyland, Tip of the Day and tagged 9 hours, Cars Land, Disney, friends, Good Food, magical, rides, Theme Parks. Bookmark the permalink. I can tell by those smiles that you had a great time! 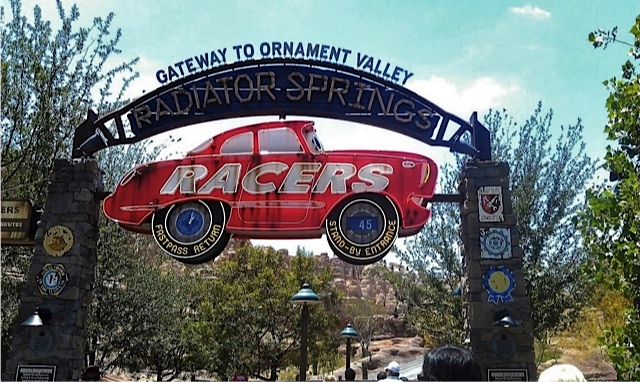 True friendship lives on in Radiator Springs!